13 Haunts: Have You Heard of These UNIQUE Attractions? If you’re reading this, chances are you’ve been to a haunted house at least once. Maybe it was years ago and you haven’t been back since after they (literally) scared the crap outta you! Maybe you go to a bunch of haunts every season, or maybe just a local favorite or two that you’ve come to love over the years? Are you the type that looks up reviews and “Top Haunts” lists for the latest and greatest around? Well this article is for you! For you first-time Scare Factor readers, welcome aboard! We’re glad to have you and hope you find our Directory of haunts across North America to be helpful in your search for scares! The first installment in our “13 Haunts” series covers some of the most UNIQUE haunts across the country. “What makes a haunt unique,” you might ask? Granted, every haunted house is different and has something unique to offer their visitors. We set out to find some of the MOST unique attractions in the land and we found everything from actual butcher shops and frightening factories to haunted steamboats and underground caves. 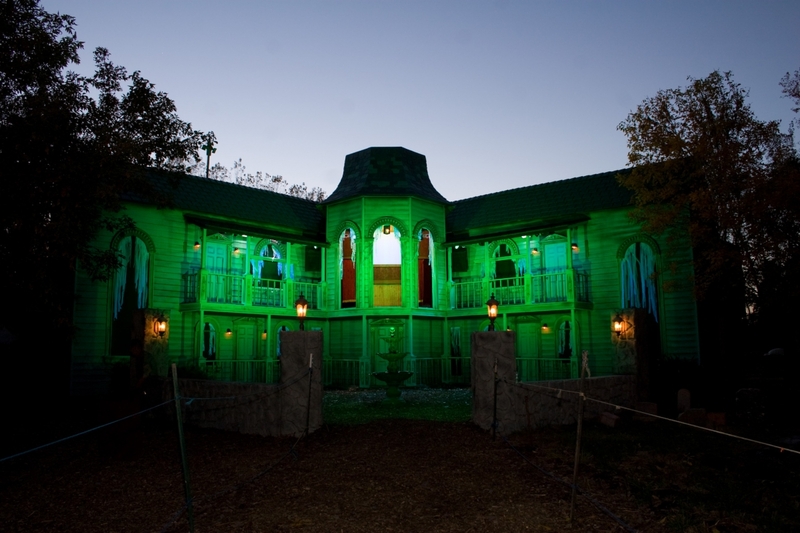 Buckle up, fellow haunt enthusiasts, here are 13 of the most UNIQUE haunts we could find! Ruby Falls made it to our unique haunts list because this is DEFINITELY not your typical haunted house. In fact, those brave enough to enter will board an elevator with only one stop… and that destination is 26 floors DOWN! That’s right. It’s underground, in a cave and obviously worthy of its place on our list of unique haunted attractions. Rumor has it that, once you’re that far under, “no one can hear you scream!” Coming in at #7 on The Scare Factor’s 2015 Top Haunts list (out of the 88 attractions visited by our Scream Teams), it’s clear that this attraction knows the ropes in this increasingly-competitive industry! This haunted attraction takes place on the Ohio River (no, really… ON the River) inside a steam-powered dredge boat that’s earned its nickname as “The Death Dredge!” Measuring in at an impressive 288 feet long and offering 20,000 square feet of authentic steam engines, valves, steel, rivets and wood planking, it just doesn’t get much more realistic than this. 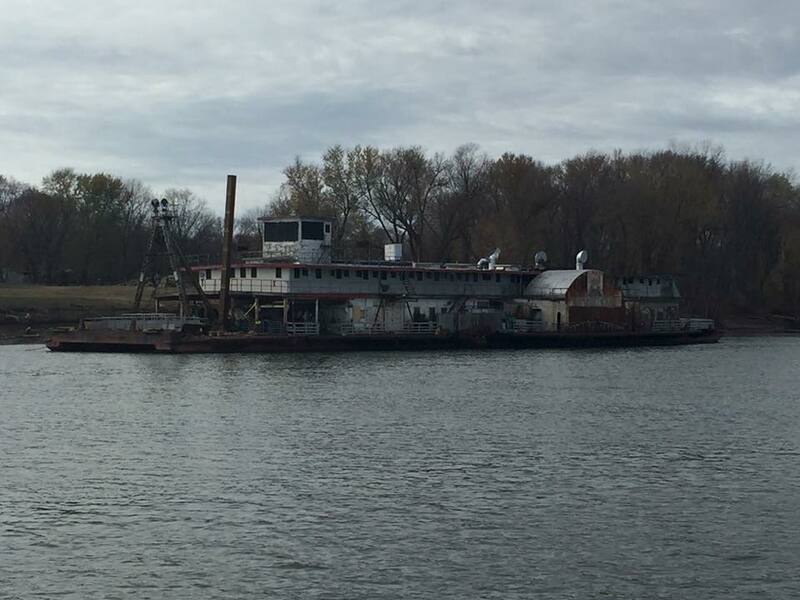 Originally known as the USS William S. Mitchell, this dredge put in her 45 years of service scraping the bottom of the river. Her glory days came to an abrupt end one day when she broke loose from her mooring during an intense flood. The uncontrolled drifting, combined with the elevated river levels, led to multiple collisions with bridges as she plummeted downstream. If you get the opportunity to get close to the ship, you can still see the resulting damage on one side of it’s exterior. This tragedy became known as “The Mitchell Massacre,” and is the story line that the haunt showcases today. Another unique feature about USS is their “Extreme Unrated Captain’s Tour,” a special “extreme” show that’s presented on several nights during their normal haunt season. Coming in at #3 on The Scare Factor’s 2015 Top Haunts List, this is a very unique and authentic haunted attraction that shouldn’t be missed! FOT takes place in a 160,00 square foot abandoned factory that has become one of the largest haunted attractions in the world, literally. They’ve actually received the Guinness World Record for being the longest haunted house 3 times! This attraction offers multiple themed haunts that are sure to have something for everyone. They also open every Friday the 13th and for other occasions as well, including St. Patrick’s Day. 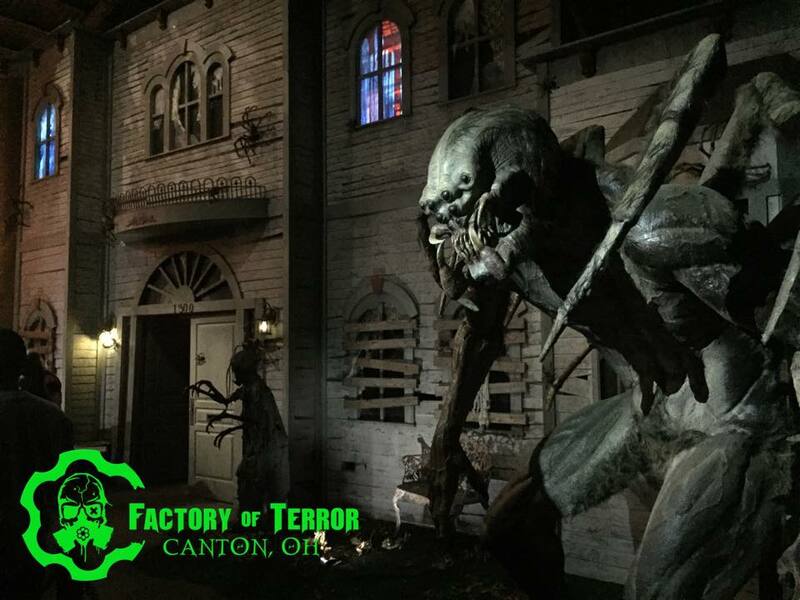 In 2015, FOT consisted of 5 full-sized haunted attractions and we can’t wait to see what they come up with in 2016! Raven’s Grin Inn began it’s journey in 1987 and we guarantee that you won’t experience anything like this attraction anywhere else! The mastermind behind the haunt, Jim Warfield, takes guests on a twisted and spooky journey through the malevolent mystics that his mind has manifested! We don’t want to give anything away, but the tour will include things that you likely haven’t seen before! Many of the things that can be seen here have actually been built by Jim himself, including items that… MAY not keep you above the Earth’s surface. Each tour is estimated to last anywhere from 1 to 1-1/2 hours (and sometimes longer)! The Inn is open all year long and we suggest you pay them a visit soon, especially if you enjoy eerie stories, humorous frights or just having fun! Once again, our list takes us under the ground and into the darkness! This time there will be around 30,000 live bats to join in! 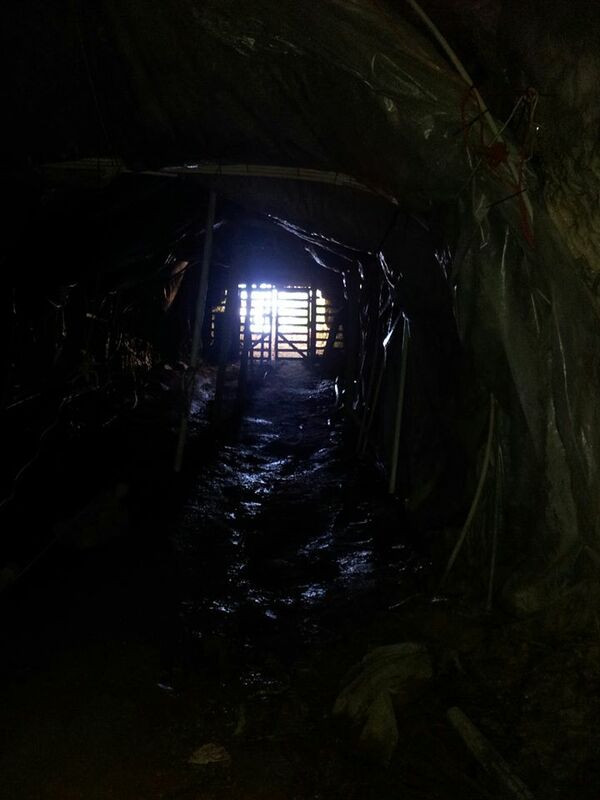 The Lewisburg Haunted Cave is located 80 feet below the Earth’s surface and takes quite a long time to fully traverse. 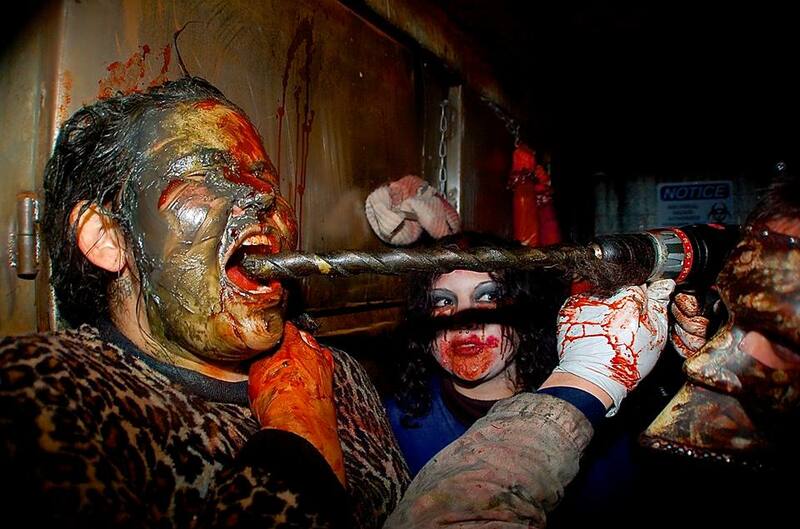 It is so long that the Cave received the Guinness World Record for being the longest walk-through horror house in 2010! Tour times vary but usually tend to be at least one hour in length. The time you spend dwelling amongst the bats will all depend on how long it takes you to find your way out… IF you manage to do so! The Vault of Souls will pull you back in time as you enter The Exchange National Bank. Making it’s debut in 1923, the bank served a purpose of protecting the prized possessions of many of Tampa’s residents. This is no ordinary haunted attraction at all, but more of a “spiritual” and “puzzling” experience. Their website states: “Brace yourself for a personal and intimate phantasmal encounter that will bend your mind.” There is no marked path or signs showing the way out; instead, guests must find it and may gently touch mostly anything inside (except the spirits, of course) while doing so! This attraction does require reservations so please plan accordingly, however complementary valet parking is a treat that all Vault patrons receive! The Ghost Boat is another eerie attraction that offers frights not only during the haunting season, but also for several months outside of September and October as well! They also offer two different adventures for each. 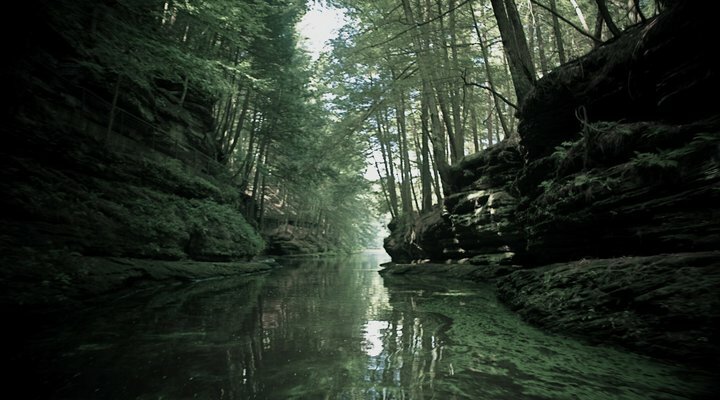 Guests will be taken up the Wisconsin River by boat at night to the Cold Water Canyon. The canyon is protected with a hidden passageway and is the center of many ancient tales in the area. The duration of each tour is around 1-1/2 hours. Disclaimer: The editors of this article have not experienced McKamey Manor so we can only share what we read, watch and see. However, we CAN tell you that this is definitely a unique and physically/mentally challenging experience for those who are brave enough to try it. If you think this is something you want to do, we would advise you to watch some of the many YouTube videos that are readily available. But even those won’t prepare you for what you will actually get inside! Thinking you’re brave enough and actually BEING brave enough are two different things when it comes to this place…. If you make the cut, we wish you luck. You’re gonna need it! 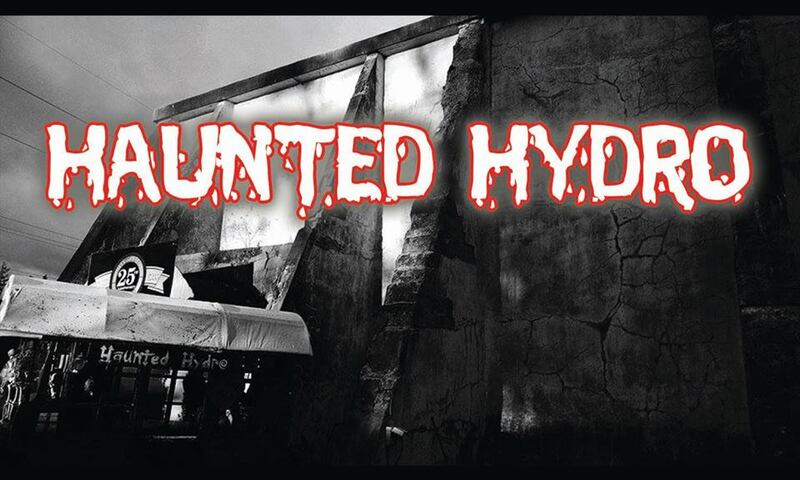 The Haunted Hydro Dark Attraction Park takes place at a decommissioned power plant that was previously used by the city for more than 30 years! The park consists of multiple attractions, each offering their own brand of deranged diversity, and 2016 will be their 27th season! In 2015, the folks at the Hydro presented their fans with a new experience, dubbed, “The Shock Collar Experience, Torture Chamber.” We aren’t sure what all it entails, but if you feel like you need a little light in your life, it may just be the thing for you! To participate in the Shock Collar Experience, you must be 18 years of age and, of course, sign a death waiver. As their unique, butcher-esque name implies, Cutting Edge Haunted House takes place in an abandoned meat packing facility that is 100 years old! The plant itself is located in a part of the city known to the locals as, “Hell’s Half Acre.” Some of the equipment previously used in the old packing plant is still in use today, but not on the typical “animals” that you’d expect! Tours are expected to be nearly an hour in length, which explains why they are the current Guinness World record holders for “The World’s Largest Haunted Attraction” AND “The World’s Largest Walk Through Haunted House!” We’ve also heard that you may be entertained by a drum line during your wait… now that’s unique! Last but not least, Cutting Edge is also open for the majority of the holidays during the off season. 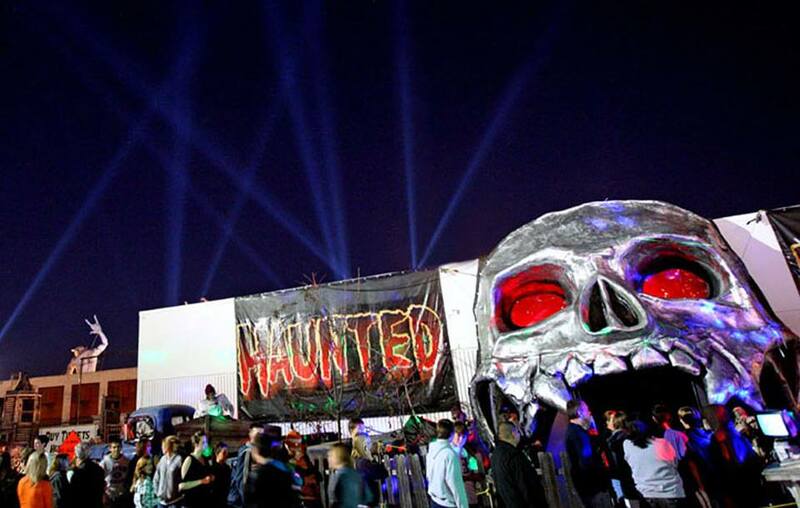 Dark Harbor takes place on the Haunted Queen Mary, a ship who’s construction began in 1930 in Clydebank, Scottland. On October 31st, 1967, she took her last cruise and has since found her home in California. Because Queen Mary is a hotel, it doubles as a convenient destination for those traveling from afar and find themselves in need of a place to stay while visiting. Dark Harbor offers an assortment of mazes, so tour times will vary depending on how well you can find your way out. Queen Mary offers guests a variety of other things to do during your visit including rides, a VIP lounge, food and more! During every haunting season, The National Railroad Museum hosts Terror on the Fox, a charity attraction that involves a real, working train! According to their website, they’re one of three haunted house attractions in the U.S. that uses a real passenger train in their show. Terror on the Fox includes high-tech props, animatronics, optical illusions and more! 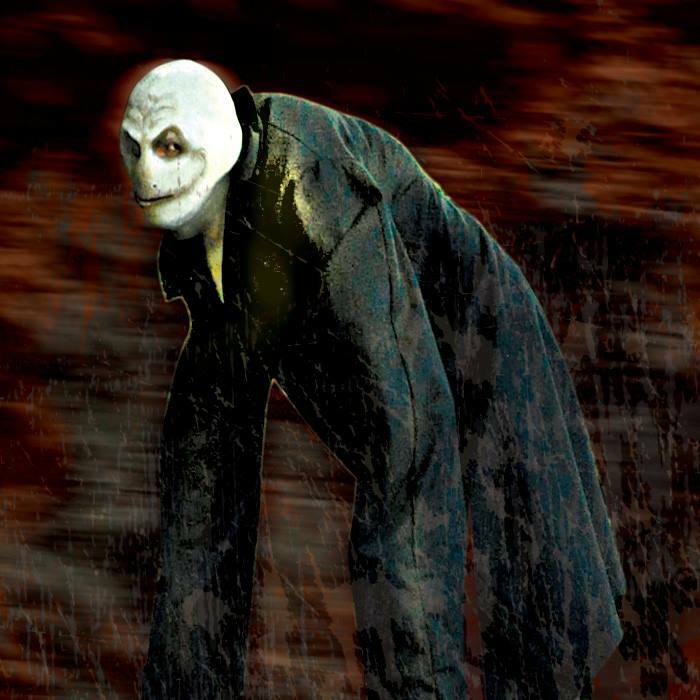 Haunted Airboat Ride… need we say more? 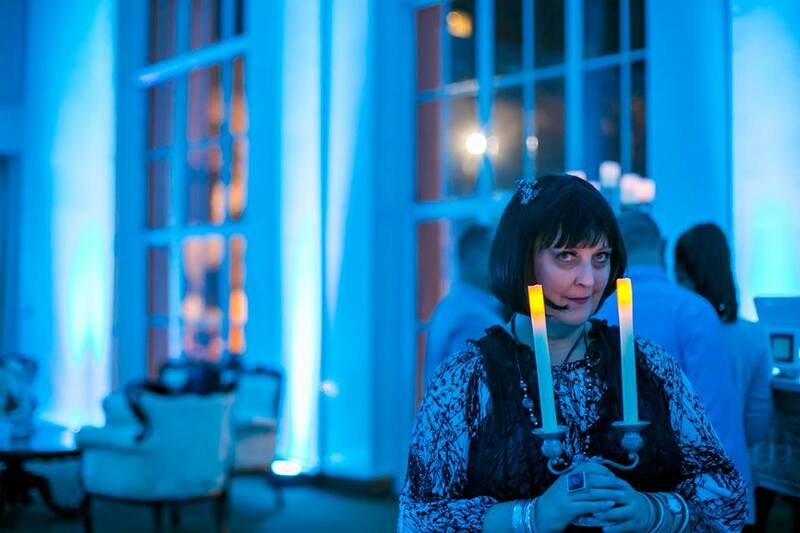 This particularly-unique haunted experience takes place at Camp Holly on the St. Johns River on select nights in October. Riding an airboat at night may be spooky enough for some, but throw in some classic haunted fun and you’re in for a fun night of frights! If you’re wondering how fast their lines move, there are generally about 5 boats running per night and each can hold 6 -15 people. A haunted trail also accompanies the boat ride. Don’t forget to watch out for gators… and we aren’t talking about special effects! 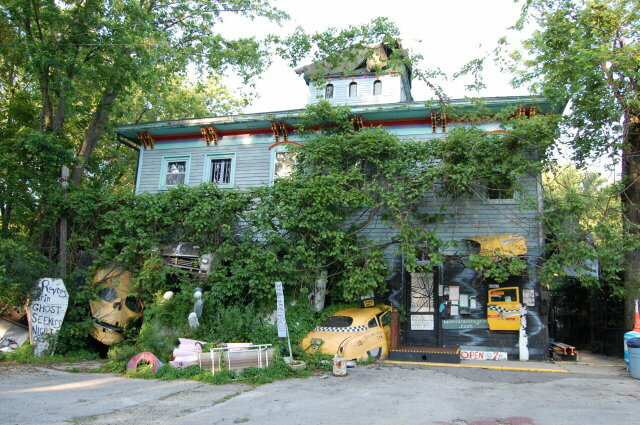 What are some unique haunts that you’ve been to? Tell us in the comments below! By providing your email address and submitting your comment, you are agreeing to our Privacy Terms.